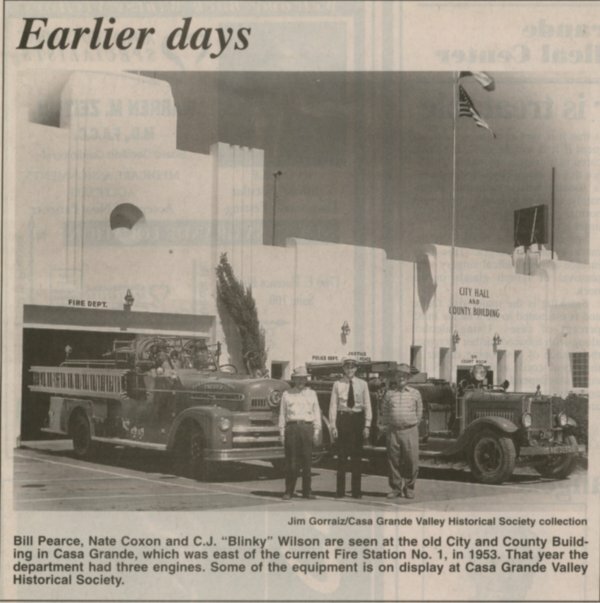 Chiefs Jess Hill and Harry Bowles lead the Casa Grande Fire Department during its infancy as part of the shared city complex housing the City Hall, Police, and Fire station. In 1945, with a population of 800, the City hired its first full-time Fire Chief, Nate Coxon. Chief Coxon had experience as a civilian fire instructor for the military at Williams Airfield. He had resided in Casa Grande since 1933 and his mother was born and raised in Casa Grande. He was hired as the City’s Fire Chief and Building Inspector. New members brought on to the department usually had some specialized field of profession or training. Chief Coxon found members who were carpenters, electricians, and plumbers. These skills were invaluable when dealing with building and house emergencies. The new members were immediately taught to drive and pump the apparatus so there would always be someone able to respond. All of the new members were volunteers for the first six months. After that time, they were classified as “part paids” and paid $3.00 for every call, regardless of the duration. Each member was paid twice a year in July and December. A fire phone was located at the carport that housed the fire truck next to the Police station. An old fire whistle that sounded like a Fog Horn notified members. They would also use a “phone-tree” system and call members at home to have them respond. The fire department bought an additional fire truck from the military. The truck was a 1946 Ford war surplus fire apparatus. It had 400 gallons of water and a front mount Darley pump. 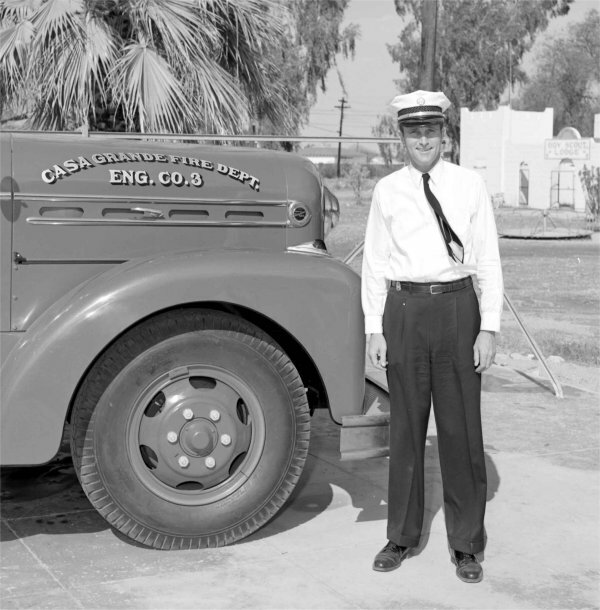 Engine 2 is on display at the Casa Grande Historical Society Museum. Although the City provided the fire trucks and equipment, members of the fire department had to raise money for uniforms and turnout gear. Department members serviced fire extinguishers at the schools to help raise money. The Fire Department also had an annual Fireman’s Ball on New Year’s Eve. Being a member of the fire department was a very prestigious honor and earned the respect of community members. The department strives to continue that well-earned respect today. 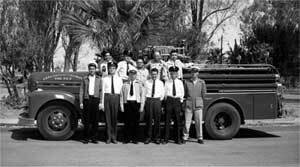 In 1953, the department took delivery of a brand new Seagrave fire truck. This truck had a 750-gallon per minute pump and a 400-gallon tank. Engine 3 became the first-out fire truck for the city. With three fire apparatus in the City, members were assigned a specific fire truck to staff during emergencies. All crew members would assemble then respond to the emergency. Due to the small diameters of the hoses, reverse lays were utilized in order to keep the water supply effective. 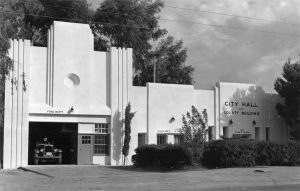 In 1955 the Fire Department opened Station 1 on Florence Boulevard. The station continues to serve the community as a fire station. Although the Fire Chief was a paid city employee, the fire department was still volunteer. 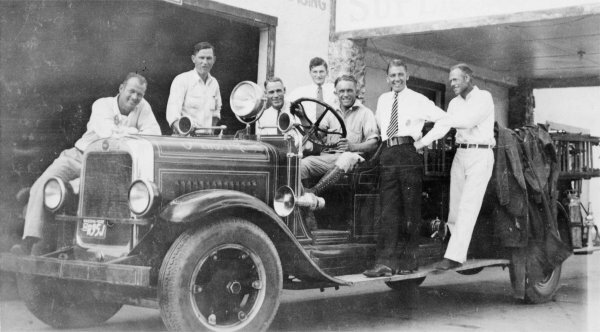 Two members of the department who were local businessmen, John Cress and Gene Lehman, lived at the fire station from 1956-1959. During their off hours, they would staff the apparatus and respond to calls. Gene Lehman retired from the Fire Department in 2007 as a Paid-Call Division Chief. He put in over 47 years with the organization. In 1958, with the City’s population approximately 6,000, the first full-time firefighter was hired. Firefighter Bill White was hired to work 40 hours per week conducting fire inspections as well as fire education. One year later, Firefighter Jerry Donahue was hired to assist with fire inspections and education. In 1967, the fire department went to 24-hour protection. The full-time crews would work Monday-Friday with weekends off. Volunteers would work the weekends. The first two crews were Firefighters Bill White and Roger Mineer and Firefighters Jerry Donahue and Z.B. Todd. Although members had been given training in advanced first aid, the department had not begun providing emergency medical response. Medical response was provided by the Cole & Maud Mortuary. In the 1970’s, the Casa Grande Fire Department began to serve the community as an “all risk” provider. 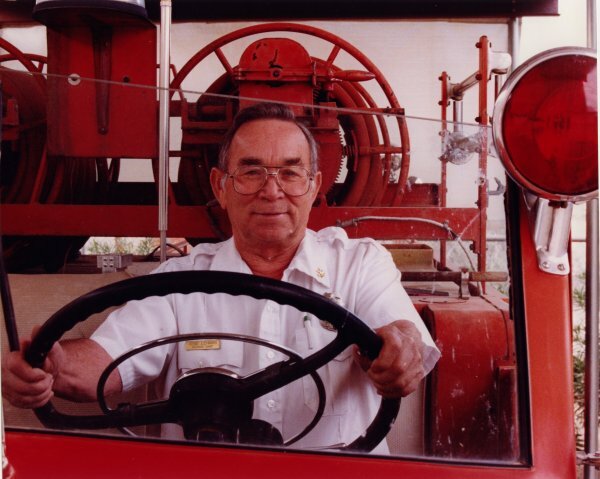 In 1974, Fire Chief Nate Coxon retired from the department. Bill White was named as the new Fire Chief for the Casa Grande Fire Department. The department has continued to grow and has added stations, personnel, and apparatus. 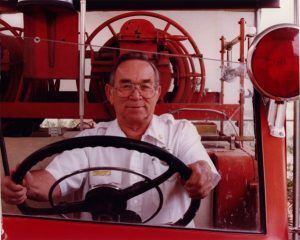 In 1996, under the command of Fire Chief Al Faoro, Station 2 was added to assist in service delivery for a growing population. As the City continued growing, Chief Scott Miller opened interim Station 503 in April of 2001 at the department’s training facility located at the Casa Grande Municipal Airport and in April 2011 Station 504 opened. 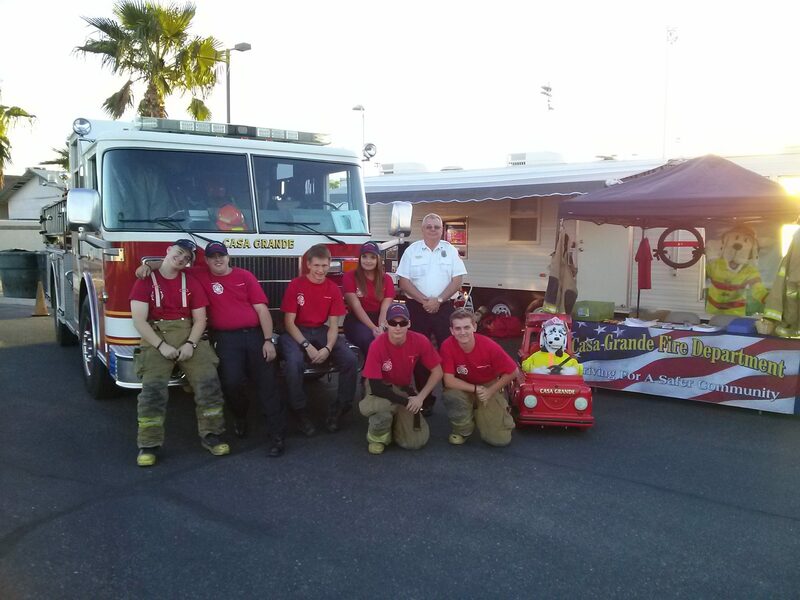 Currently, the Casa Grande Fire Department has 62 full-time members. The department provides 24-hour services and protection to over 50,296 residents within the 110 square mile city limits through four strategically placed fire stations. Services include Advanced Life Support Paramedics, Fire Prevention and Education, Structural Fire Suppression and Wildfire Suppression, Hazardous Materials Mitigation, Technical Rescue Confine Space and much more.